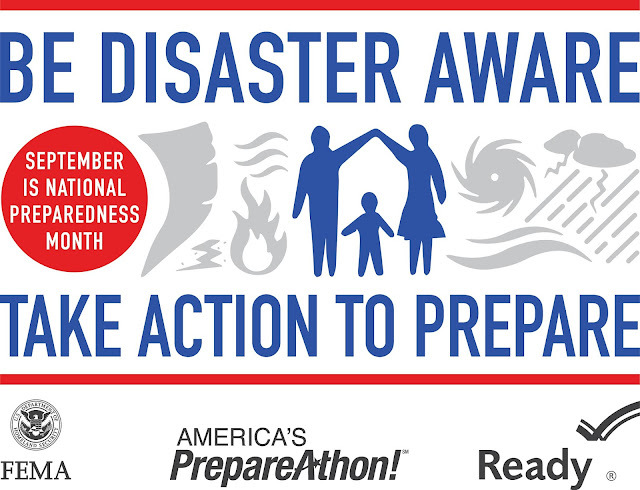 You may not know that September is Emergency Preparedness Month, but NOW you do. It's time to get ready and be prepared. Most people do not keep enough food or the right foods in their home to last them for even 3 days. When I say most, I believe it's higher than 80% of Americans do not have food for 3 days. That's a lot of people running to the store when an emergency happens. Do you really want to deal with that? Or can you take a little time and maybe a small coat closet and turn it into your a food storage closet for emergencies? 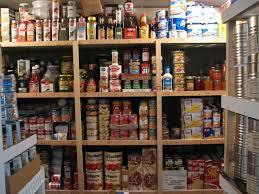 Food storage does not mean hoarding! 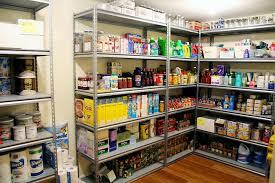 A lot of people think that it does and that if they start maintaining a food storage, that it means hoarding food. This is NOT TRUE. That's a lot of people who would be relying on someone else or the government to help them. If our country was attacked and the government was already weakened, would they really be able to help that many people in their own time of need? I don't think so. I'm not waiting for the government to send help. I have been working like crazy to update and organize my food storage. It is hurricane season here...and I still remember Harvey like it was yesterday. I was so thankful for having a food storage available and ready for use when we were flooded in with no where to go. I had everything on hand at the house ready and waiting. We were just gifted with a family member's food storage that they had at a home they are now selling. I did not know that they used an entire bedroom to store their food storage. Needless to say, the room needed to be cleared out to make ready for selling. Also, needless to say, I was NOT prepared (irony, right?) for the amount of boxes I received either. I was gifted food storage in a way that I was not expecting...to say the least. Everything was packed in boxes with what was in them - written in marker on the top box including expiration dates. Most had already expired...Boxes were not filled with all of the same items either. It was a hodge podge of what would fit in the box with a slight variety of items. One box would have beans, canned veggies, and hot sauce, for example. This "gift" did have a lot of items though that had NOT expired...and it has greatly benefited my family. Inside this storage was large #10 cans of dry milk and eggs...good for many more years (15+ years). This was a huge expense I had put off and I'm glad I did! We now have enough milk, eggs, and many other items to be able to check that off our list. Some people will tell you that just because the expiration date on the cans has past, it doesn't mean that the food is bad or rotting. This is somewhat true...What people may say is how would the company know the exact date a food spoils inside a can you cannot see...may make sense. Think about this...This is your food storage..YOURS. Why accept or buy food past the date ALREADY when you are NOT in NEED to use it right away. My thoughts and beliefs are to start FRESH so everything will last a long time for you and your family. 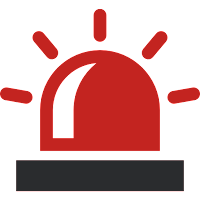 We already have a supply so we will be checking the safety of the cans...and possibly opening some to determine if it is usable. We have a large pile of boxes currently, that are not edible. See what you are comfortable with doing...There are websites to also help you determine which foods may last longer than their expiration dates say: tomato products and fruits with high acid content are ones to be concerned about. They can endanger the integrity of the cans and thus cause spoilage much sooner than expected. I saw a #10 can of tomato powder that should have had more than 10 years left before expiration and the can had warped and swelled. Always be cautious. You don't want to NEED to eat your food storage and IT be the cause of you getting sick. I always buy my own tomato products and mark the box with the date of purchase so that I know exactly how old it is. If you are in the process of building up your storage, you do not want to be using it right away. You may not see growth as fast as you like and become discouraged. 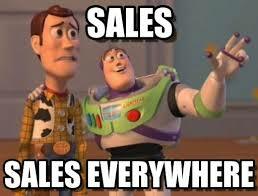 This is the month to watch those on the emergency supplier list for awesome sales! My family's food supply seemed full, until we organized it in a more convenient way and a way that just plain makes sense. All of the meat products were put on one shelf together, all of the veggies were placed together on another shelf with room for adding more "fresher" cans, all of the spices and condiments were in another space. This space opened up so much more room in the pantry it really made me think....What are we missing to really complete our food storage? I'm not talking about bare essentials...I'm talking about what can I add to my food storage to really make it "comfortable" in troubled times. So I did a little digging...on Pinterest of course. I found a list of recipes that I could use with my food storage and found I was really lacking in spices, condiments, comfort foods for the kids (mac and cheese, apple sauce, etc), cooking sauces...So I made a list of what we needed. Maple Syrup. Hello? Why didn't think about this earlier? MAPLE SYRUP. It has a great shelf life and is a natural sweetner and has so many uses...I picked up 3 containers from Costco. Black Beans. It's true I have an entire shelf with beans....but zero black beans. Every decent Tex-Mex dip recipe has black beans. I added a case to start off to make sure I had the room to add them on my bean shelf. Vinegar. I had zero in my food storage which at this point I'm pretty sure is a sin. Vingar again has so many uses...Why don't have more of this? You can cook and CLEAN your home with it. It's also less than $3 at Costco in their giant containers. I had no excuse. Spices-Why not have the extras ready to make an amazing meal for your family? I selected some of the spices that are not exactly regular spices, but would be the second most used in our home. You can make lots of dishes with chili powder - not just chili...cumin is the same. Garlic powder is just an overall must and I pretty much use that in everything. Crisco - again it has a super long shelf life so I can use the other oils in my storage first. Did I mention we were gifted with almost 50 pounds of Coconut oil? I think I have some time to add to my Crisco. Crisco was something my grandmother cooked with so if I want a bit of comfort with my food, Crisco is going to be the way to go for me. It'll be an automatic mood booster for me. Fried Chicken in Crisco is something my grandmother would swear by. Condiments like Mayo and Ranch dressing and bleu cheese (shelf stable of course). We have one giant jar of Mayo that Hubby said he had to have and it's not being used fast enough. So make sure you have the smaller size bottles so you can open them as you need them and they won't go bad on you. After today's local shopping trip for a few of the smaller items, I will re-evaluate my food storage, take an inventory, print off a few more exciting recipes that I have to have without access to a computer and hopefully not find anything that I will need to add to my storage. What's in YOUR food storage? What are your family's favorite meals? Do you keep those items in your home regularly? These are just a few of the questions that helped me get started. I also joined food storage groups online to help connect with people who believe in food storage as well. I enjoyed seeing their items and it gave me ideas for my own. Not everyone is going to have the same food in their food storage. Food storage can be very unique to every family. There is more to your food storage supply than food though. 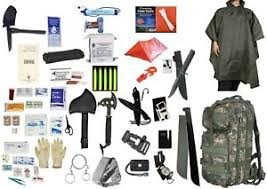 Have you thought about other items you may need? Paper towels, toilet paper, coffee filters, COFFEE? Coffee is a food group in my house. Food storage may seem like a lot of work in the beginning, but it does get easier the more you learn about it. It gets easier to meal plan and meal prep...which means, your life gets easier. It use to take me days to find meals for my meal plan. Now, I can have it all planed out in a document in about an hour's time. I've learned which items I use the most to always buy in bulk, like onions and potatoes...As soon as I get a bag of onions I will put them in the food processor and chop them up, put them storage bags, and freeze. Still unsure about where to start? Start with making a 3 day emergency supply kit. Check out the new tab at the top and see what I keep in my Emergency Kit. You can also google food storage and find many people with a list of exactly what they have and how long their food storage will/should last. This weekend is my time to inventory what we have and I'll probably post a list of items to help people gain a clearer understanding of what they can keep long term and what's short term use too. 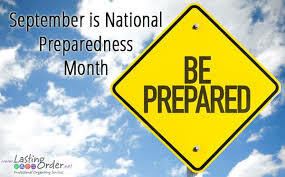 Let's be prepared!! 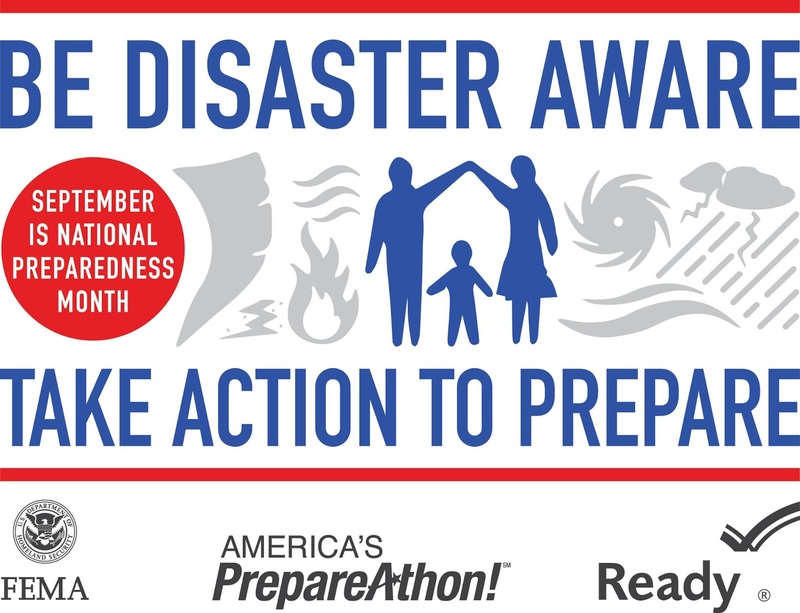 Tell me below in the comments section what you are doing this month to be prepared for an emergency.